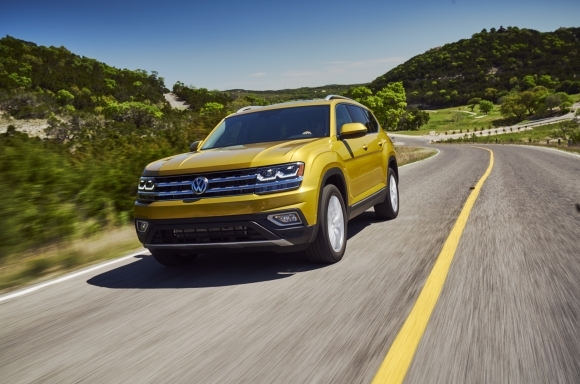 Herndon, VA (September 11, 2017) – Volkswagen of America, Inc. announced today that the all-new, seven-passenger 2018 Atlas is named one of Wards 10 Best User Experiences for Smart, Safe, Connected Vehicles. The awards, which will be presented at the second annual WardsAuto User Experience Conference, highlight vehicles with effective and easy-to-operate technology and driver assistance solutions. 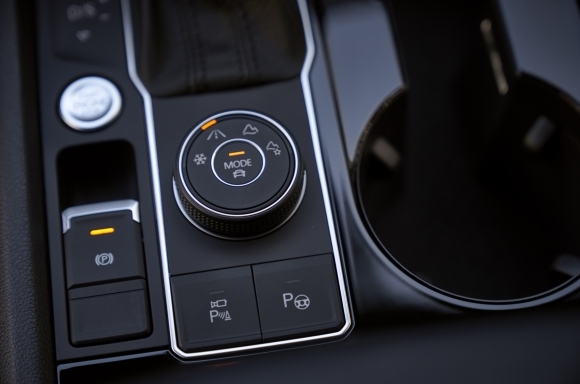 For the second year of the Wards 10 Best UX awards, WardsAuto editors evaluated 22 vehicles and selected winners based on the overall user experience including user-friendliness of the controls and the availability and effectiveness of advanced driver assistance technology. To be eligible for the awards, each vehicle or user-experience components had to be all new or updated. 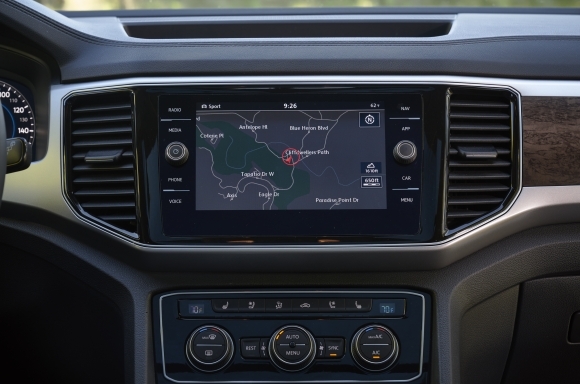 Editors also called out Atlas’ uncluttered central display, thanks to a capacitive touchscreen, as well as a clean gauge cluster. 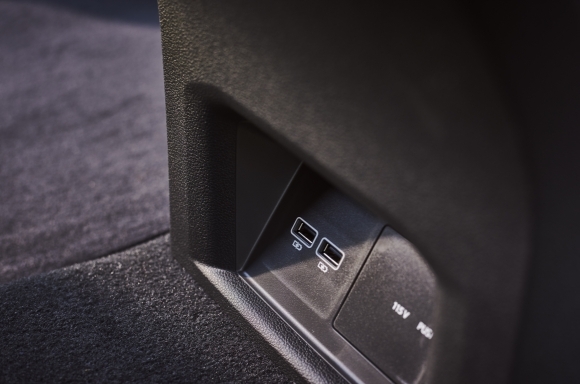 Cubby space and multiple connection points for devices were highlighted as well—four USB ports are available on higher trims, as well as an 110-volt socket for charging. 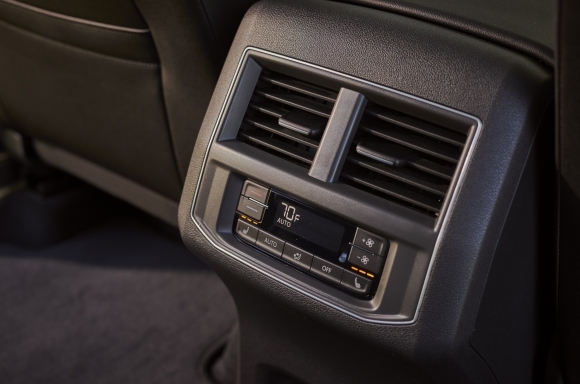 All Atlas models are equipped with the MIB II infotainment system, which not only creates the foundation for the next generation of Volkswagen’s Car-Net® connected vehicle services platform, but also offers one of the most comprehensive suites of connected vehicle services and features available in the automotive industry today. Capacitive touchscreens offer SD card and USB multimedia interfaces, as well as Bluetooth® technology for compatible devices. 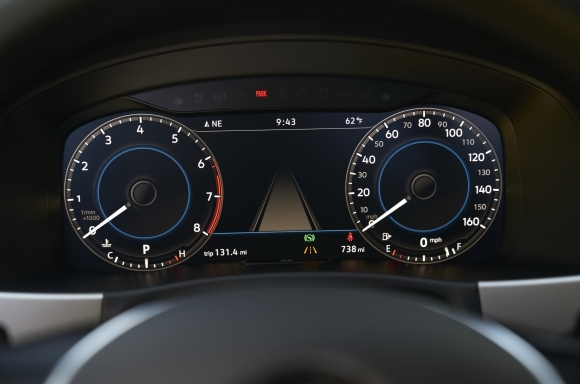 Atlas SEL Premium presents drivers with a 12.3-inch fully-digital instrument cluster with the advanced Volkswagen Digital Cockpit system. VW Car-Net App-Connect smartphone integration for compatible devices is standard on all Atlas models. 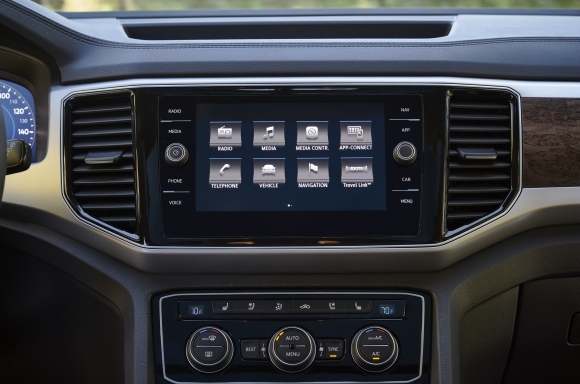 App-Connect offers users the ability to run select smartphone apps directly on the vehicle’s display through services like Apple CarPlay™, Android Auto™ and MirrorLink®. Equipped on Atlas SE models and above, VW Car-Net Security & Service is a suite of elements that provides security features and allows owners to access their VW remotely through vw.com/carnet as well as a smartphone app, also available for smartwatch. Available VW Car-Net Security & Service features include Automatic Crash Notification, Manual Emergency Call, Roadside Assistance, Stolen Vehicle Location Assistance, Family Guardian speed and boundary alerts, diagnostics and maintenance information, and remote vehicle access—including remote door lock and unlock, remote honk and flash of lights, last parked location information, and remote status check (doors and windows). 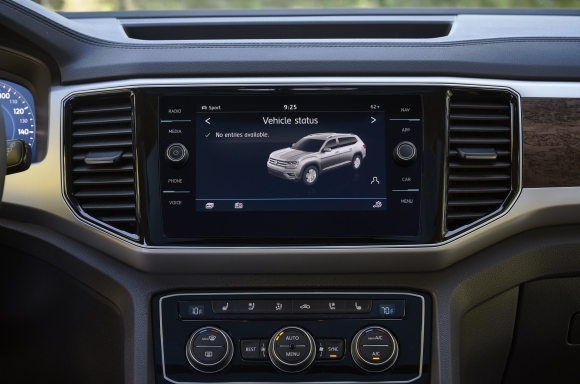 Consumers are able to send a location from their connected smart device to the factory-installed compatible navigation system on select models. For consumers who prefer a more personal touch, agent destination assist is also available. VW Car-Net Guide & Inform is included on Atlas SEL Premium and offers an enhanced navigation and infotainment experience for VW consumers. 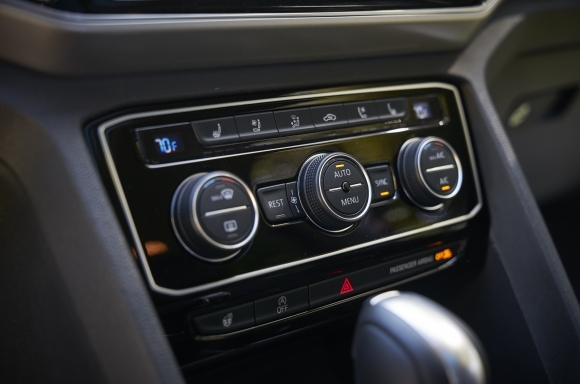 The in-vehicle navigation system features fuel prices, sports scores, movie information and weather data as part of the three-month SiriusXM® Travel Link trial. VW customers will also enjoy real-time traffic information and a complimentary three-month SiriusXM® Traffic trial. The Atlas offers a standard rearview camera and number of available driver-assistance systems, including Forward Collision Warning and Autonomous Emergency Braking with Pedestrian Monitoring (Front Assist), Adaptive Cruise Control (ACC), Blind Spot Monitor with Rear Traffic Alert, Lane Departure Warning (Lane Assist), front and rear Park Distance Control with Maneuver braking (ParkPilot), Parking Steering Assistant (Park Assist), High Beam Control (Light Assist) and Overhead View Camera (Area View). Volkswagen will formally receive the award during a ceremony held at the 2017 WardsAuto User Experience Conference, taking place October 5, 2017 in Novi, Michigan. Founded in 1955, Volkswagen of America, Inc., an operating unit of Volkswagen Group of America, Inc. (VWoA) is headquartered in Herndon, Virginia. It is a subsidiary of Volkswagen AG, headquartered in Wolfsburg, Germany. VWoA’s operations in the United States include research and development, parts and vehicle processing, parts distribution centers, sales, marketing and service offices, financial service centers, and its state -of-the- art manufacturing facility in Chattanooga, Tennessee. The Volkswagen Group is one of the world's largest producers of passenger cars and Europe's largest automaker. VWoA sells the Atlas, Beetle, Beetle Convertible, CC, Eos, e-Golf, Golf, Golf Alltrack, Golf GTI, Golf R, Golf SportWagen, Jetta, Passat, Tiguan, Tiguan Limited and Touareg vehicles through approximately 651 independent U.S. dealers. Visit Volkswagen of America online at www.vw.com or media.vw.com to learn more. “4Motion”, “VW”, “Volkswagen”, all model names and the Volkswagen logo are registered trademarks of Volkswagen AG. “Apple” and “CarPlay” are trademarks of Apple Inc. “MirrorLink” is a registered trademark of the Car Connectivity Consortium LLC. “Android Auto” is a trademark of Google Inc. All other trademarks are the property of their respective owners. “SiriusXM” and “SiriusXM Satellite Radio” are trademarks of SiriusXM Radio, Inc.
Automatic Crash Notification may be enabled for up to 6 months without activating a trial or paid subscription; Manual Emergency Call feature and all other VW Car- Net Security & Service features require trial or paid subscription. Always obey speed and traffic laws. Standard text and data rates apply for speed and boundary alerts. Standard text and data rates apply. Do not use last parked location feature to locate stolen vehicle. SiriusXM audio and data services each require a subscription sold separately, or as a package, by Sirius XM Radio Inc. If you decide to continue service after your trial, the subscription plan you choose will automatically renew thereafter and you will be charged according to your chosen payment method at then-current rates. Fees and taxes apply. To cancel you must call SiriusXM at 1-866-635-2349. See SiriusXM Customer Agreement for complete terms at www.siriusxm.com. All fees and programming subject to change.